Since PHP 5 provided developers with the SoapClient class, it's a snap to consume SOAP-enabled web services in a PHP script. 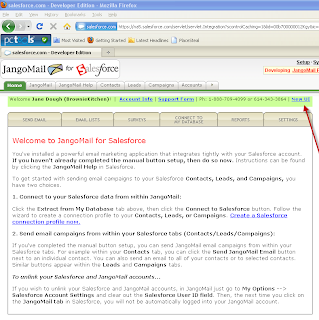 This example demonstrates how to connect to the JangoMail API in order to get the email lists on your account. 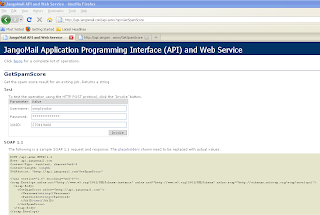 Download the source code for this example, insert your own JangoMail credentials, and you're ready to start integrating the JangoMail API with your php website. 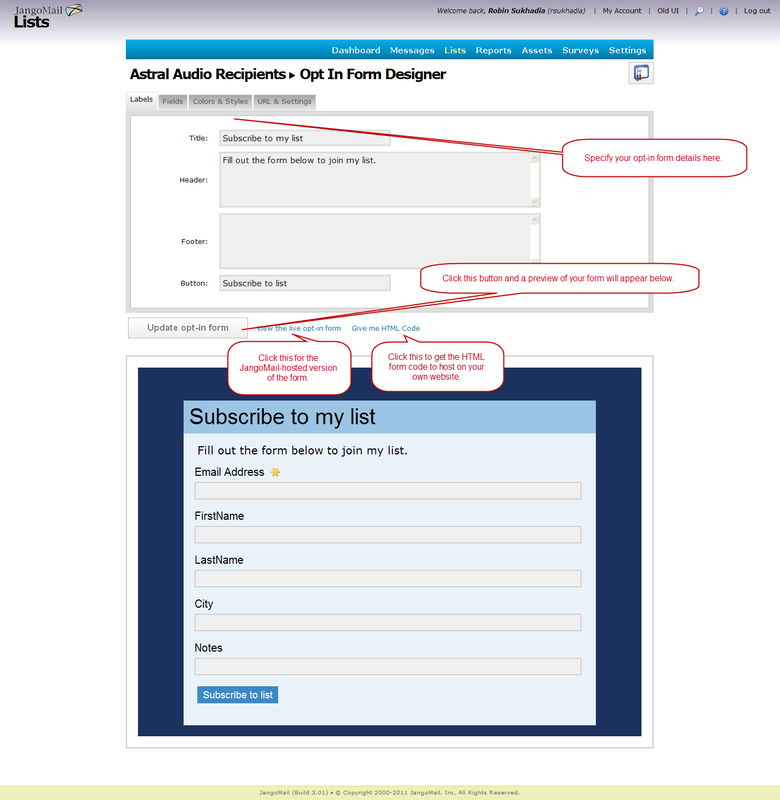 We've improved the process to attach files to your email campaigns in the new user interface. 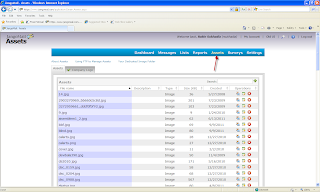 If you have Flash running in your browser, then attaching a file to your email campaign is as simple as clicking the "Upload" icon, choosing the file from your computer, and then watching the progress bar until the file upload is complete. 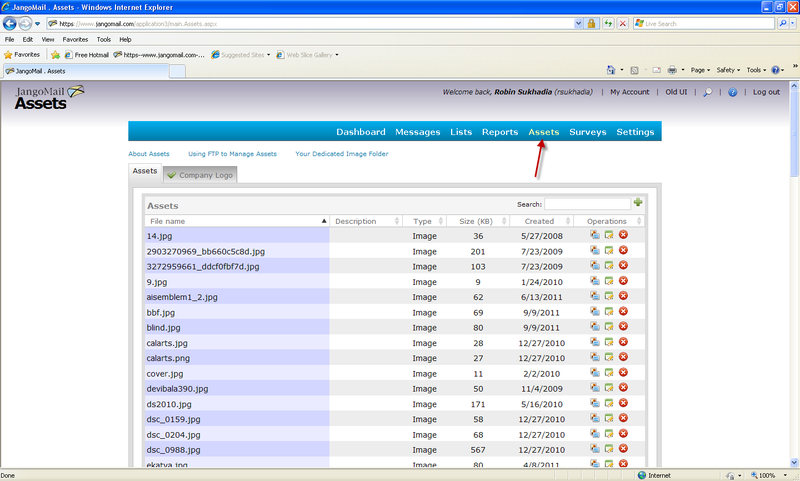 If you don't have Flash running, then the file attachment feature deprecates to standard HTML upload functionality. 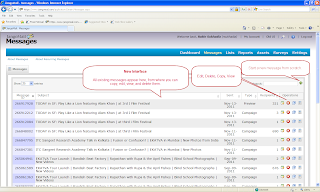 In either case, attaching files to a broadcast email campaign is easy. 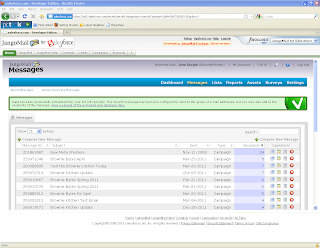 You can attach up to 20 files to a single email campaign. 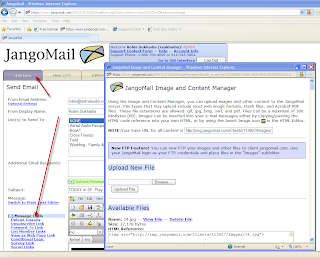 You can also FTP attachments ahead of time to ftp://client.jangomail.com/Attachments. 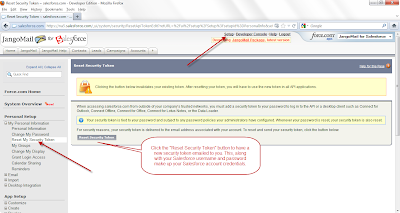 Just use your JangoMail account credentials to login to the FTP server. Soon, we'll be launching an API method to upload file attachments as well. 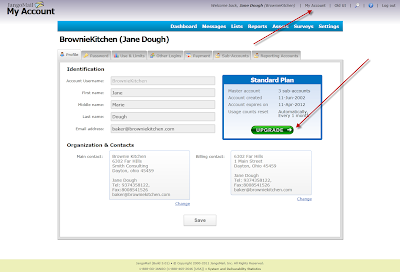 The completely redesigned interface streamlines workflow, adds new features, and increases usability. 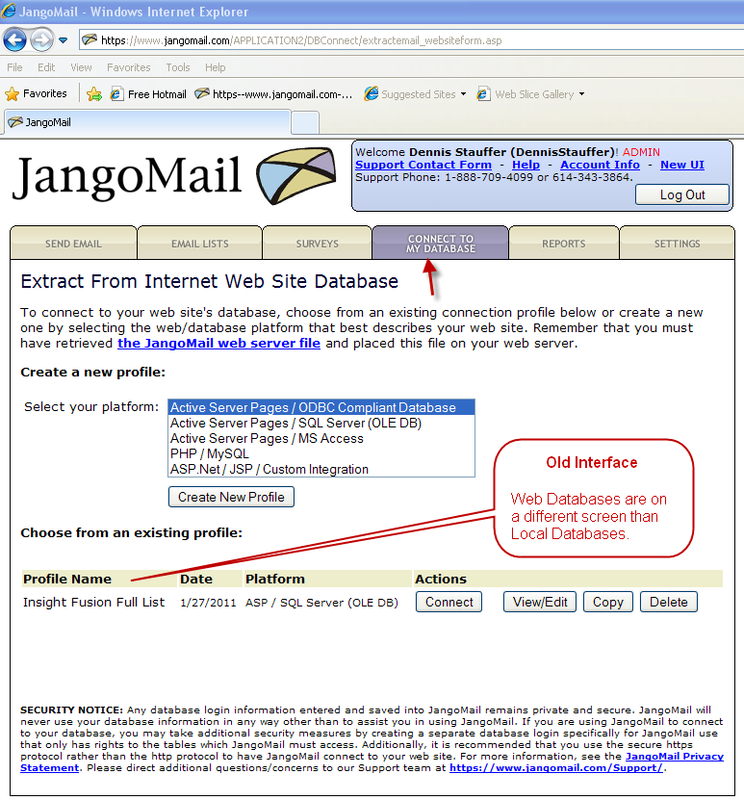 Dayton, OH - February 15, 2012: JangoMail (www.jangomail.com), an industry leader in permission-based email marketing, unveiled a new user interface for its JangoMail and JangoSMTP services. 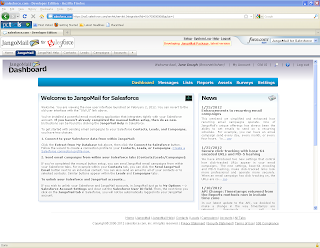 The redesigned interface significantly improves JangoMail's functionality and navigability, giving clients deeper features, streamlined workflow, and an easy to use, "point and click" interaction. "This is the single biggest improvement we've made to the product," said Ajay Goel, JangoMail founder and CEO. 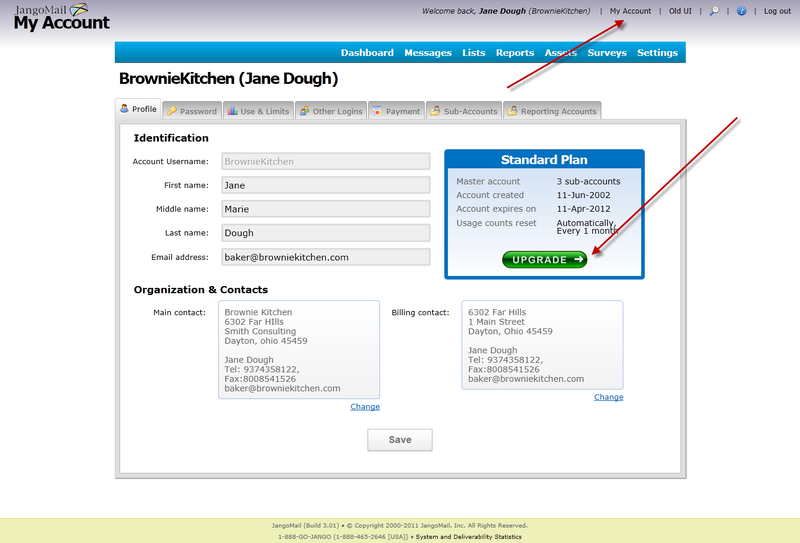 "It's sleek, it's more intuitive and user friendly, and it adds a number of new features to the JangoMail suite. 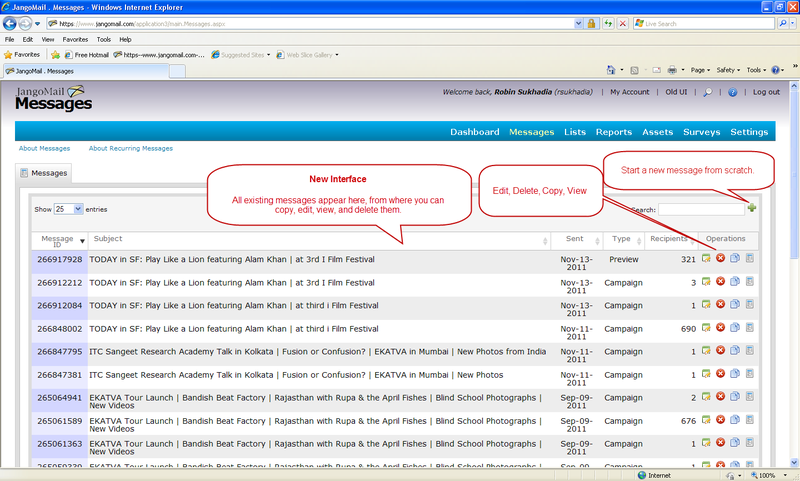 We're excited to unveil it and will continue improving and tweaking the UI in coming months to make it even better." User response has been overwhelmingly positive, with testers calling the new interface highly navigable, easy to use, and aesthetically pleasing. Client Gregg Stebben of Press4 wrote, "As long-time JangoMail clients, we've always been knocked out by the quality of their UI and performance, their customer support's rapid responsiveness, and how eager they've been to implement suggestions we've offered for making their service even better. Their new UI has raised the bar even higher. There's lots to like and love there!" 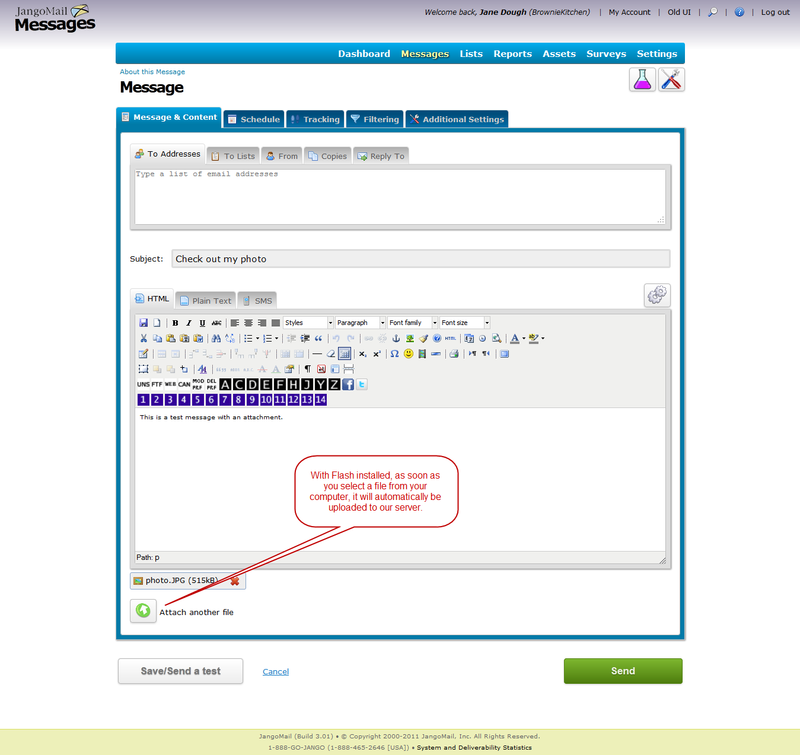 Users can expect continued enhancements in coming weeks, as JangoMail releases new features, adds help text and documentation, and incorporates improvements based on customer feedback and suggestions. Clients are invited to share their responses. 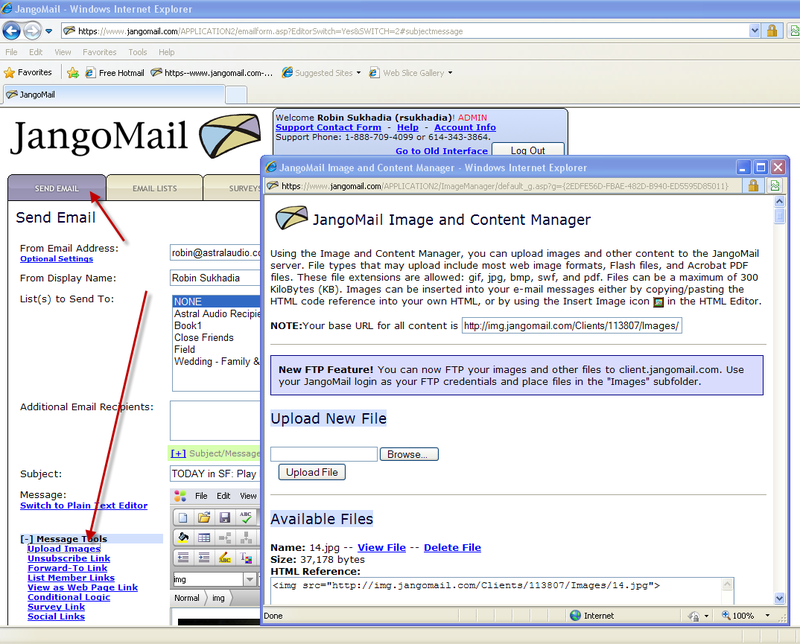 New users can sign up for a free trial at https://www.jangomail.com/ and http://www.jangosmtp.com/. 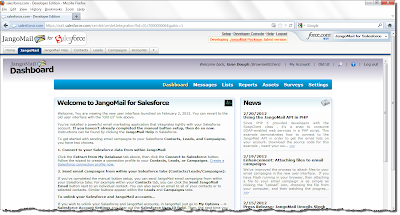 JangoMail leads the permission-based email marketing industry, offering services for transactional and marketing emails. Over 4,000 organizations on six continents rely on JangoMail and its transactional service JangoSMTP to stay in touch with their customers and prospects. 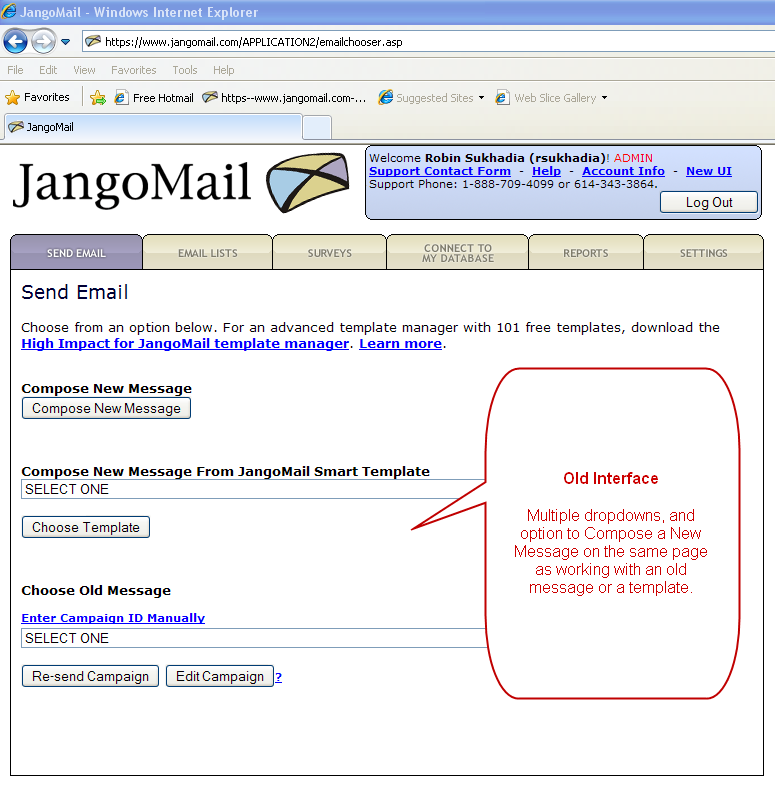 JangoMail offers flexible pricing and unique features for entrepreneurs and businesses of all sizes and industries. Customers include Washington Gas Energy Services, the Children's Hospital of Atlanta, New York Road Runners, Spirit of America, the San Jose Police Department, and Reuters. 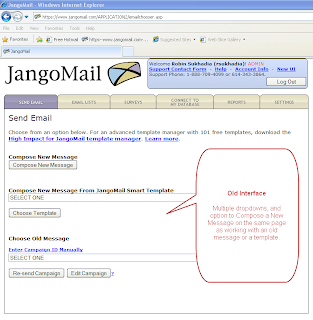 To learn more, call 1-888-GO-JANGO or go to https://www.jangomail.com/ and http://www.jangosmtp.com/. Most elements are in the same place in the new interface as the old interface. 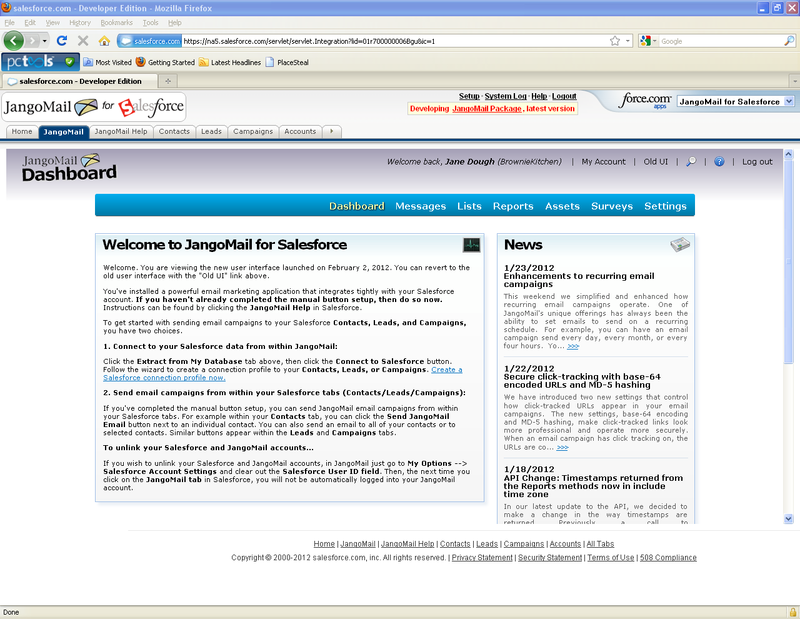 The most significant changes in the new interface are the eye pleasing aesthetics and improved workflow. A few functions have been moved though, so I'd like to highlight those here. 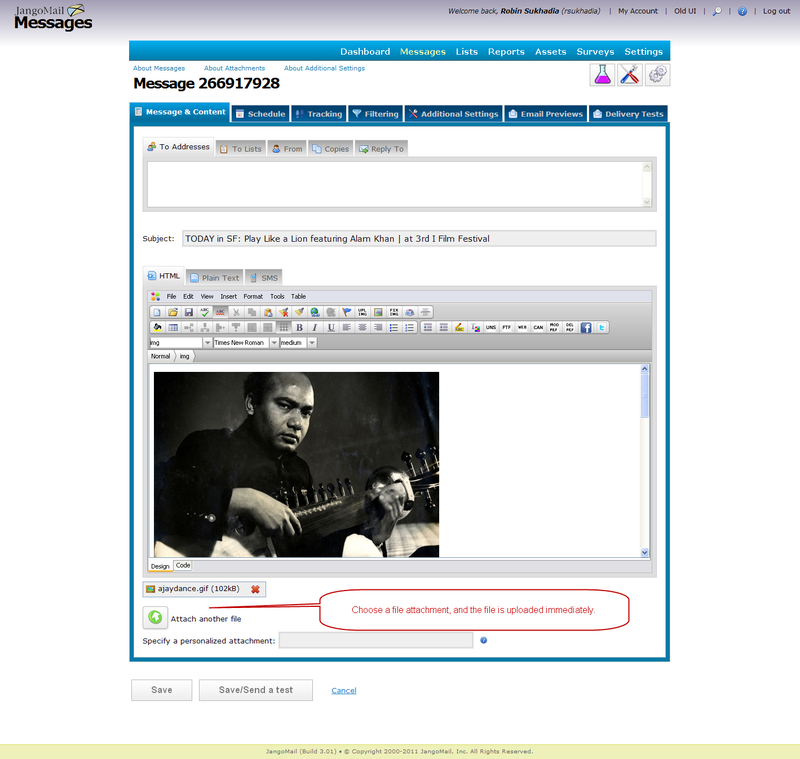 You used to have to navigate to the Messages section to upload images which would be used in your email campaigns. Now all images, documents, and other files are managed from the "Assets" main section, and all of these assets are available to insert into your Messages via any of the available HTML editors, TinyMCE or EditLive. 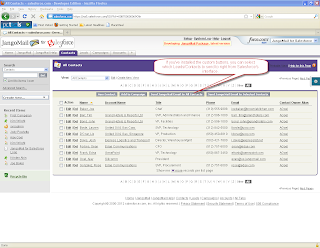 There used to be multiple dropdowns, one for templates, one for FTPd files, and one for your main email campaigns. 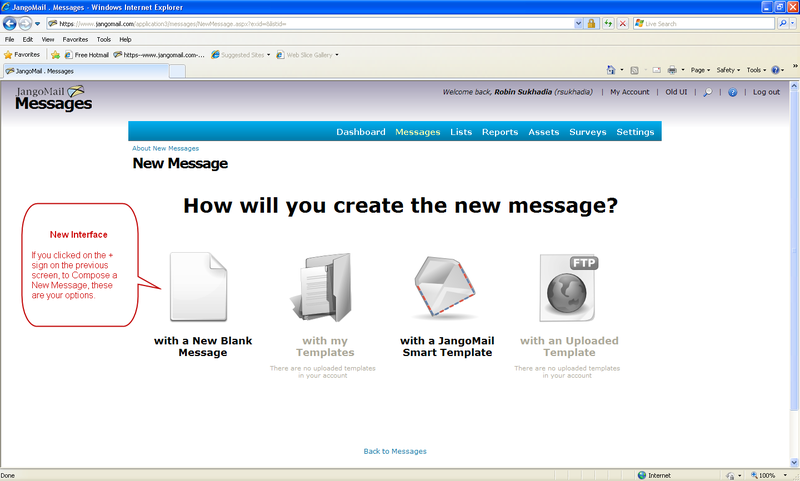 The Messages main screen has been simplified. 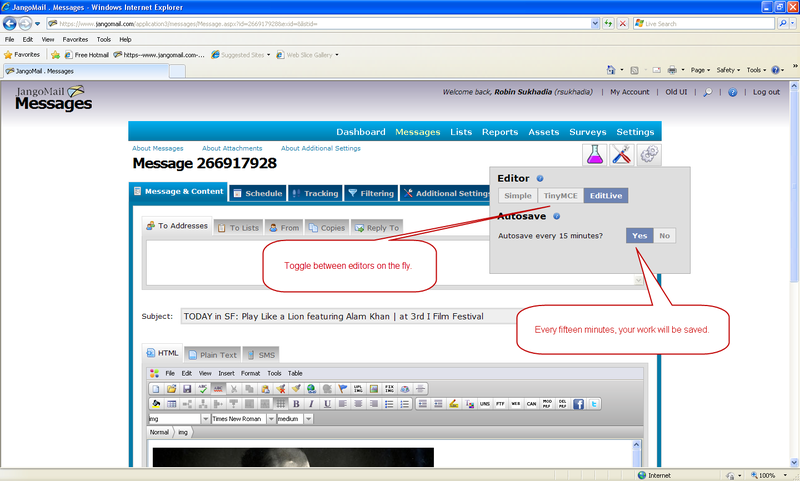 It starts showing all of your existing messages, which can be filtered using the Search box. 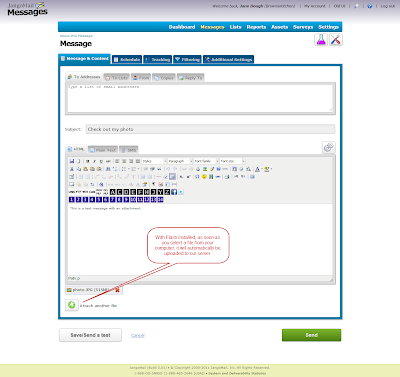 And if you wish to start a new message, you can start from scratch, or from a template. 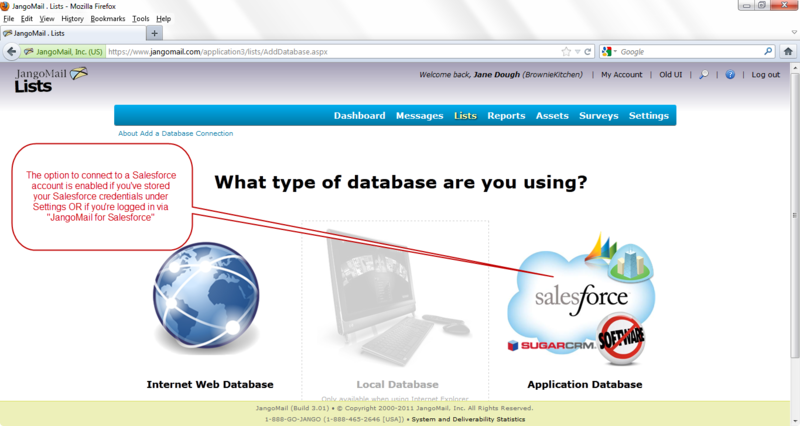 All database connection functionality is under Lists. 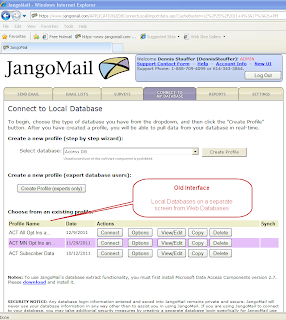 We've consolidated JangoMail-hosted Email Lists with external database connections into the Lists main section. Under Lists you will find two tabs, Lists and Databases. 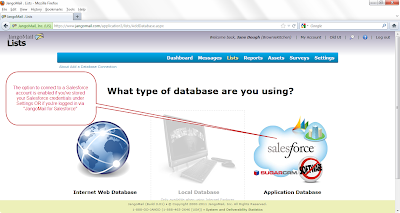 There used to be a separate "Connect to My Databases" section. That section has now been merged with Lists. 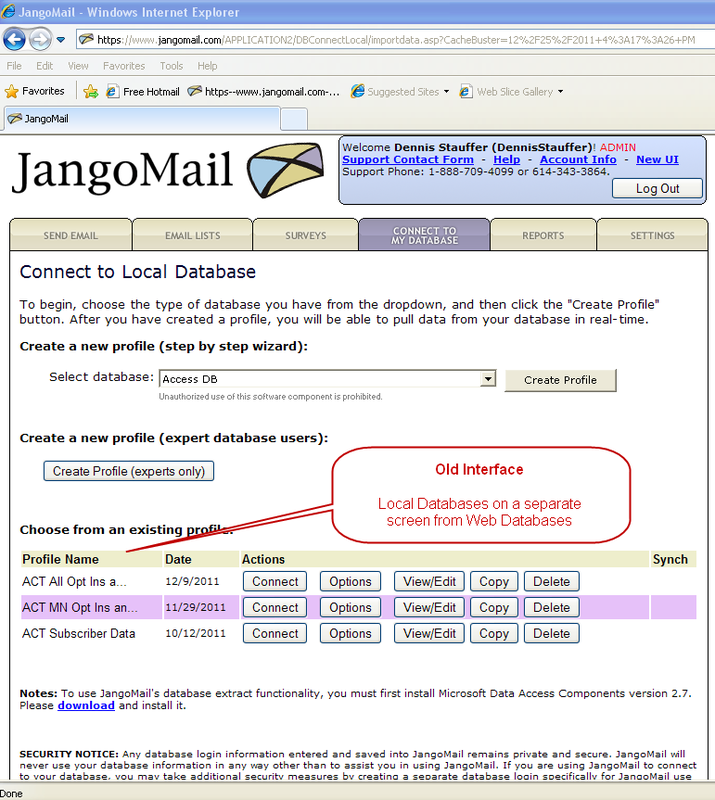 So whether you're using a JangoMail-hosted List to store your email data, or connecting to an external database, you do all of this under the Lists section. 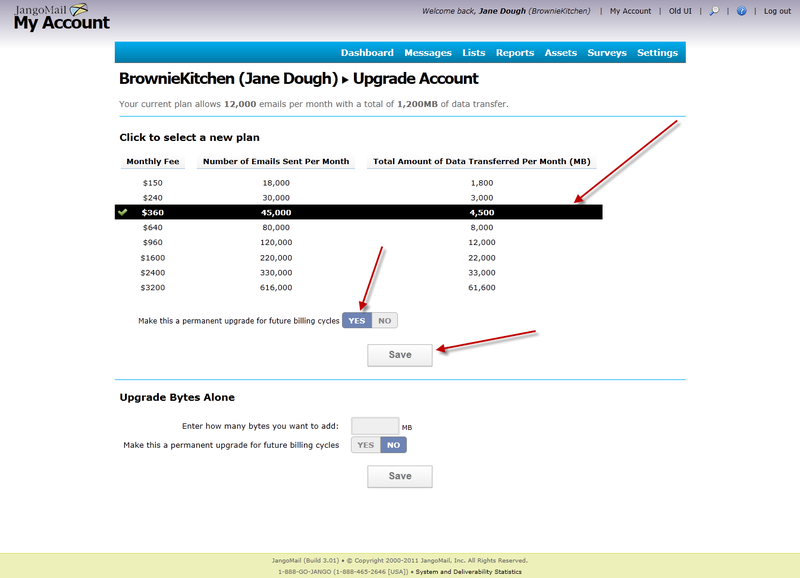 As of 3:00 PM EST today, the new user interface available for use, and I want to highlight some new features that are now available. A better email preview rendering tool -- we've integrated with a third party service that renders screenshots of what your email will look like in 20 different email clients. We have replaced our internal rendering tool with this third party service. 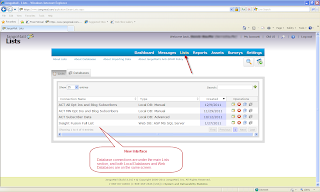 A better spam scoring tool -- we've integrated with a third party that provides more robust spam scoring and spam scoring from 8-10 different spam filters. 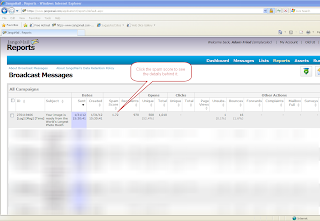 This will replace the old JangoMail SpamAssassin scoring system in the old user interface. 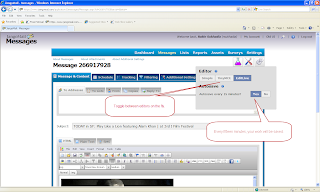 Switch HTML editors on the fly -- while designing your email campaign, you can toggle between both HTML editors that we provide, EditLive and TinyMCE. 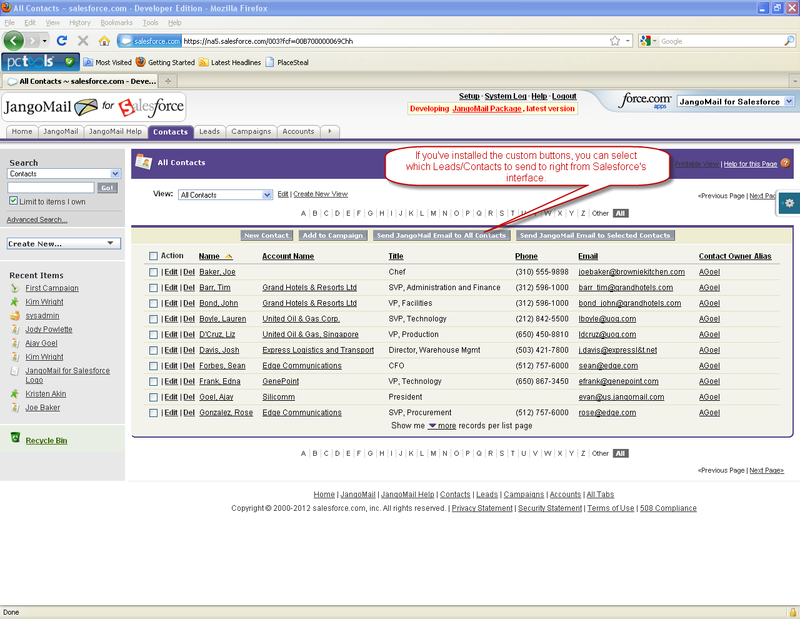 In the old interface, you had to choose one editor or the other in Settings, and then that editor would load in the Send Email section. Now you don't have to choose, and you can toggle between the two. 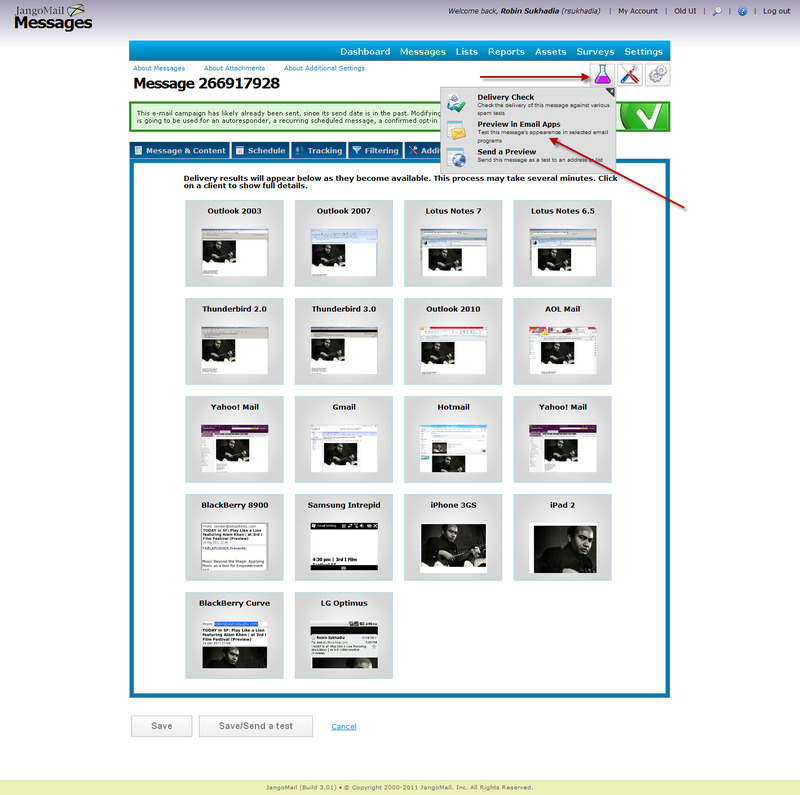 Attachments will be uploaded prior to hitting the Send button, and will be remembered when you re-select an old message with attachments. 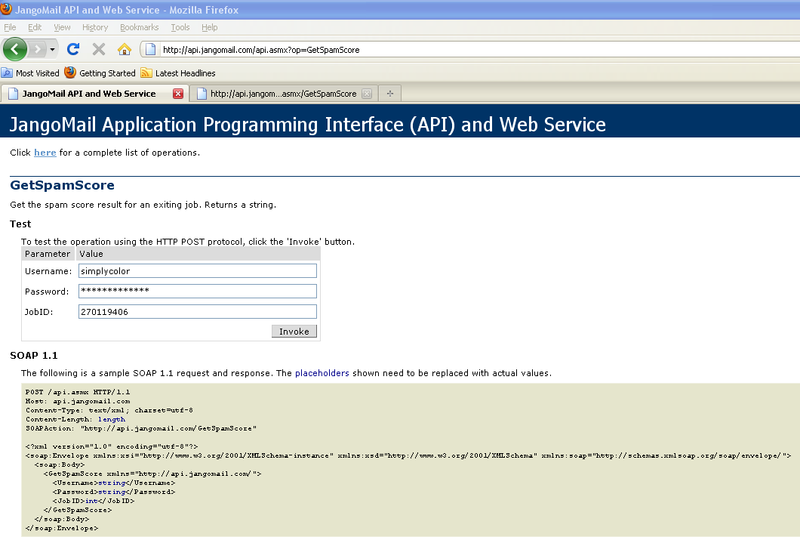 Hosted opt-in form with form designer. 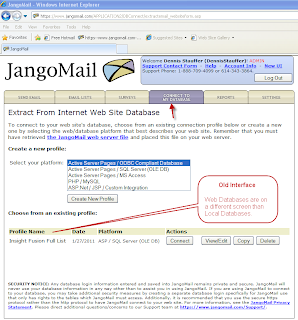 In the new interface, you can easily customize an opt-in form with the colors, fonts, headers, and footers you want, and you have the option of having JangoMail host the form or you can generate HTML code to host on your own web site. 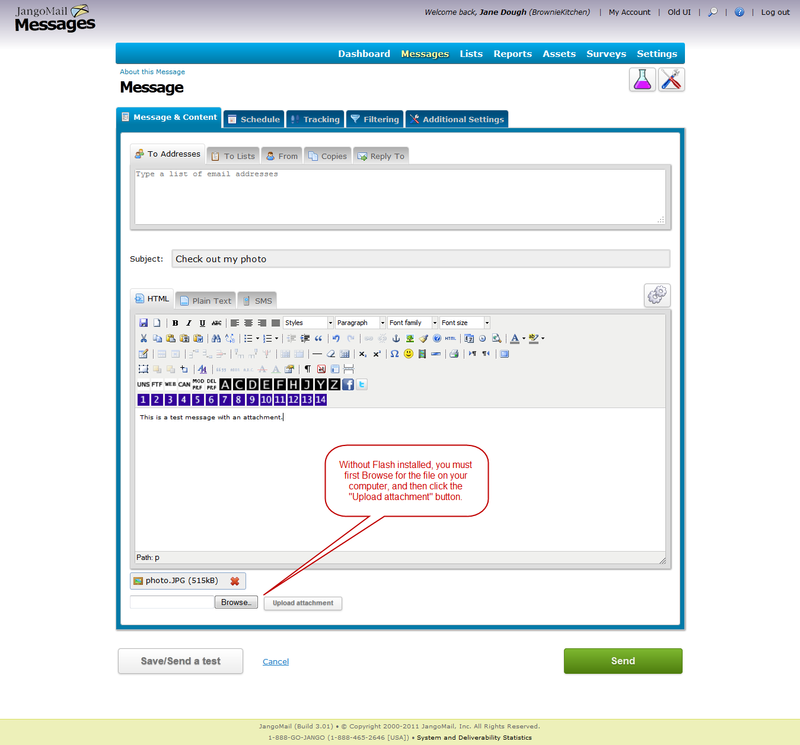 Auto-save when composing Messages. No more fear of losing your work. 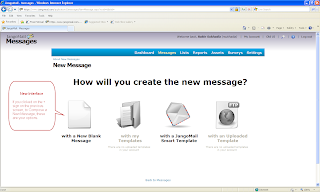 JangoMail will auto-save a message you're working on every fifteen minutes. 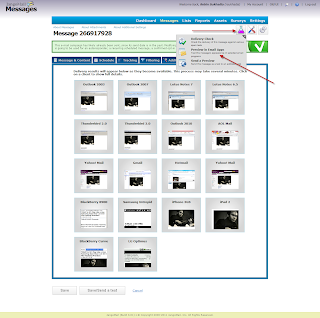 Every email campaign you send through JangoMail will now be scored by SpamAssassin. 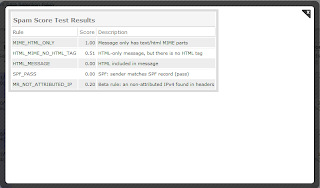 That score, and the reason behind it, is now available through Reports and through the API. 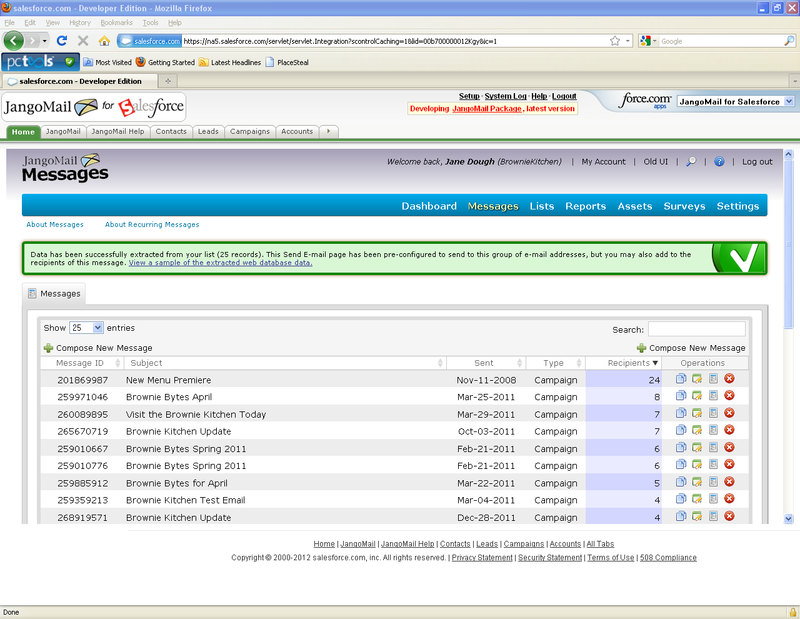 In Reports, you'll find the score next to each sent campaign, as shown below. 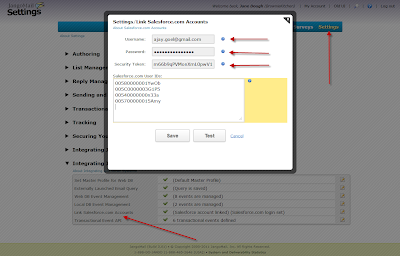 You don't need to enable any settings for the spam score to be generated. 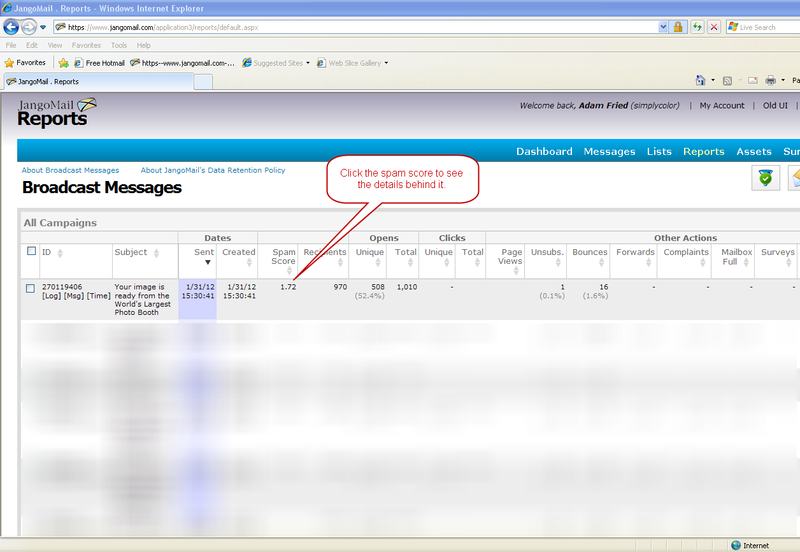 All test emails and regular mass email campaigns will be automatically scored, and the score will appear in Reports. You may also call the API method, GetSpamScore, to retrieve the spam score and the breakdown for any email campaign in your account. 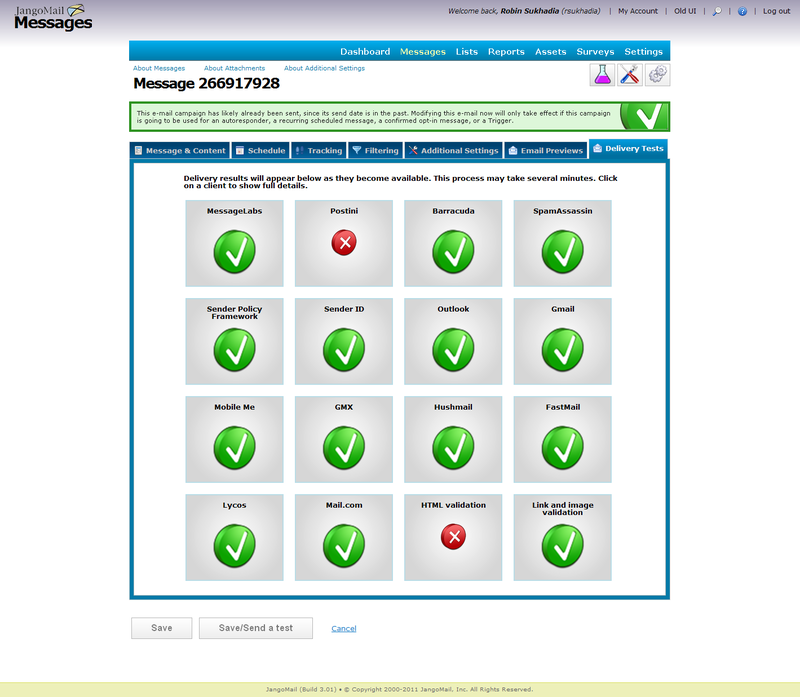 The inputs and results are as shown in the test form below. We've launched a new API method, GetViewAsWebPageURL, that retrieves a URL for a campaign that can be shared on social networks like Facebook, Twitter, and LinkedIn. The result is a string which is the URL that can then be shared. 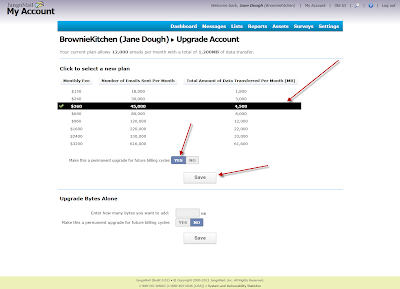 In this case, the URL generated is http://x.browniekitchen.com/w.z?j=7B6617DFC5D14C45B3978D191AD9AEC9. This URL can now be shared on social networks. 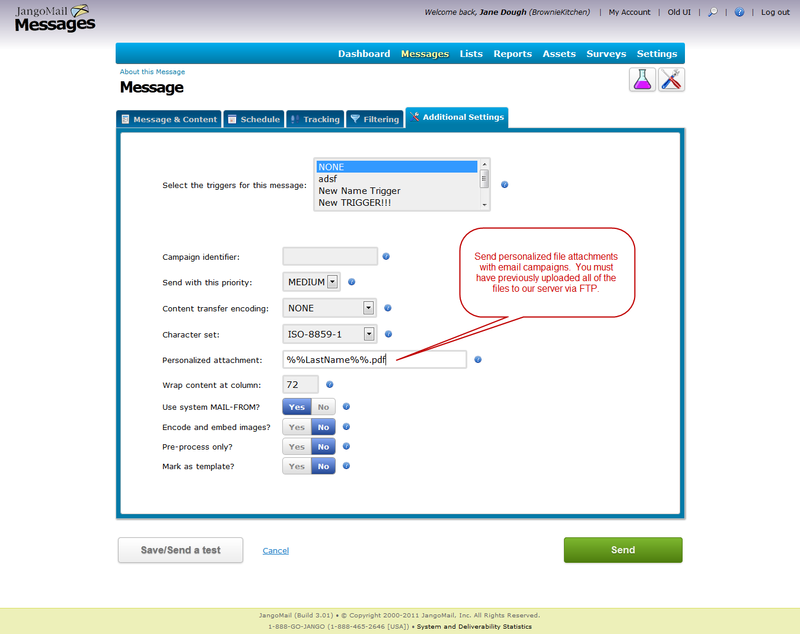 Additionally, if the EmailAddress input parameter is identified, a URL customized for that particular recipient will be generated. 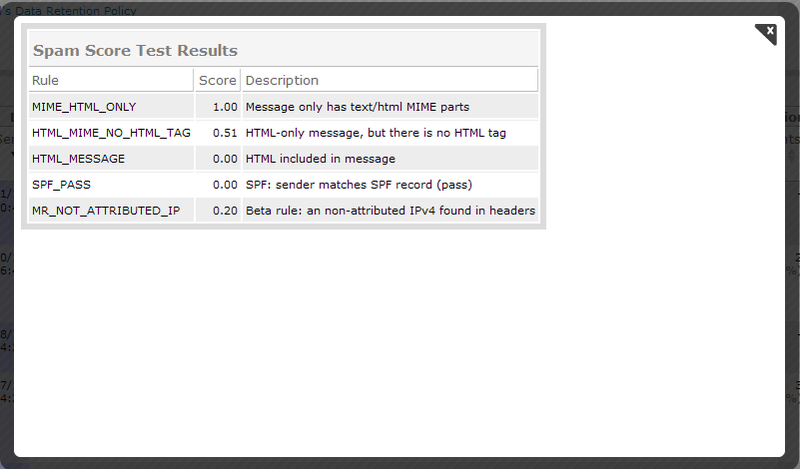 In addition to the j= parameter, an m= parameter will also be present in the URL's querystring. 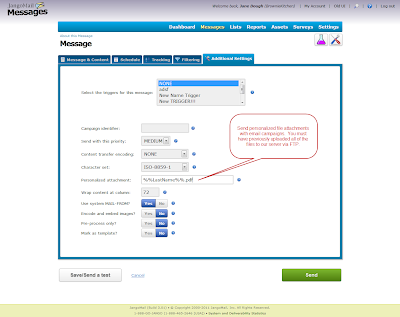 For mass sharing, however, the most common use will be to share without personalization specific to a recipient. If you use the API to create campaigns on the fly, using the SendMassEmail method, then the API will return the campaign ID to your application. 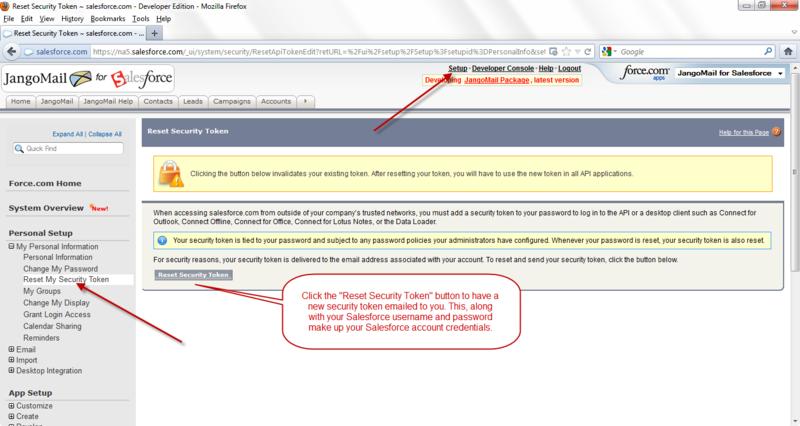 You can then use that campaign ID to immediately generate a URL for that email campaign that can be shared. 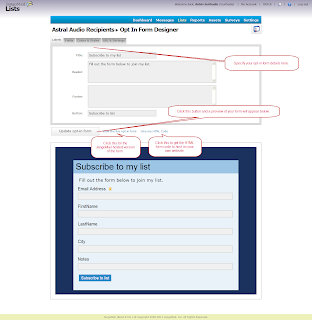 This is analagous to the "View as Web Page" link that you can insert at the bottom of an email campaign when using the web interface. 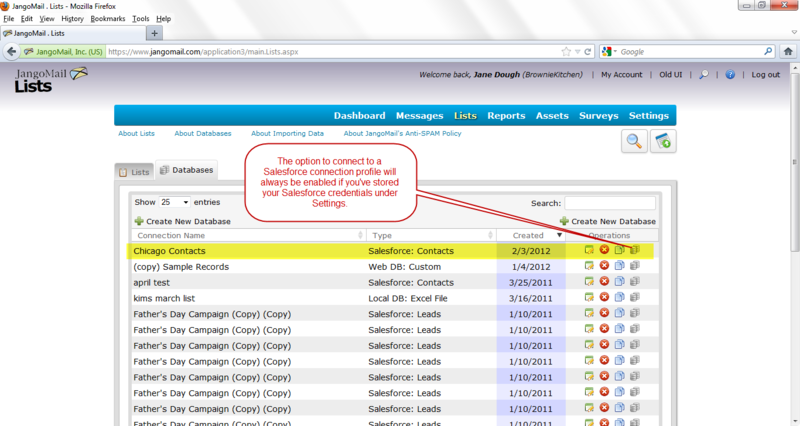 Users of our Salesforce integration can now take advantage of the aesthetics and features of the new user interface. 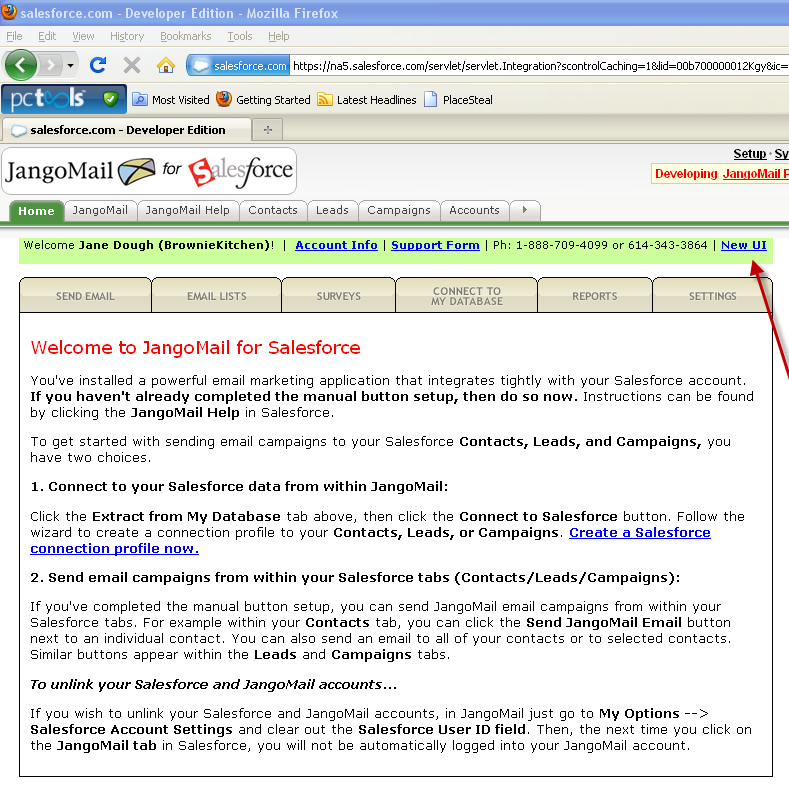 If you're still using "JangoMail for Salesforce" on the old user interface, make the switch! 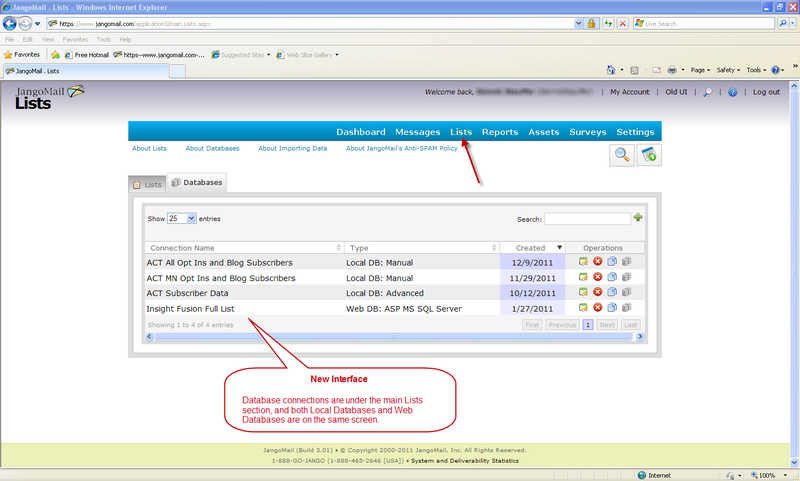 There are many new features available only in the new interface. 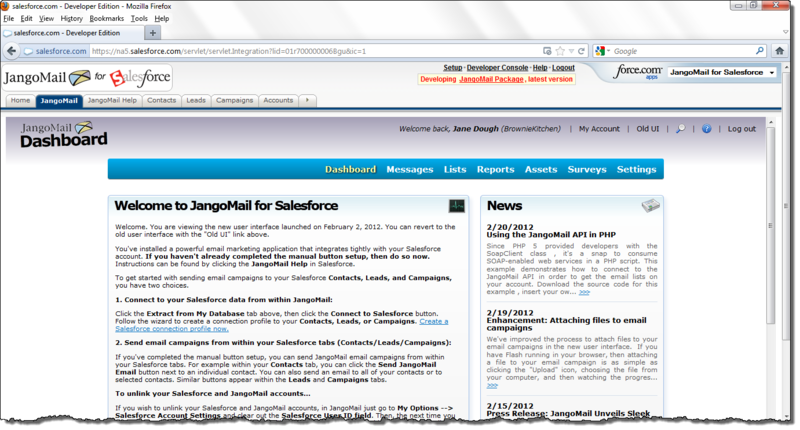 Just click on the New UI link when logged into "JangoMail for Salesforce". 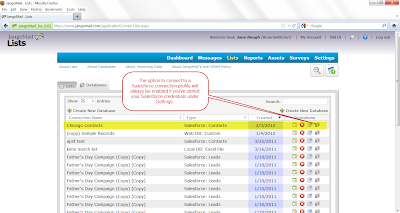 To create a Salesforce connection profile, go to Lists, then click the Databases tab, and click the + sign to add a new Salesforce connection profile. 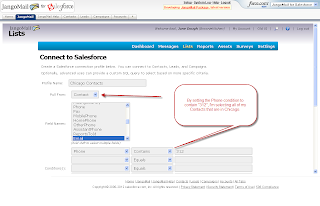 Additionally, if you've installed the custom JangoMail buttons throughout the Contacts, Leads, and Campaigns tabs, you can select which contacts to email right from within Salesforce's interface. After you've pulled contacts/leads from Salesforce, you'll be taken to the Messages screen where you can compose a new campaign or select a prior email campaign for sending.